Here we go with the expert forecasts for the 2018 season. June 22 --- https://weather.com/storms/hurricane/vi ... ok-updated --- 11/4/2 --- below average. The very early consensus appears heavily weighted to an average or above-average season. 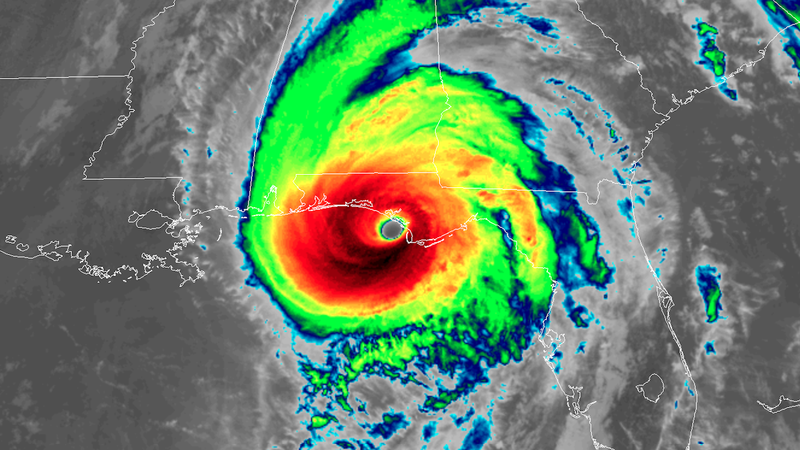 TSR's combined average and above-average probabilities add up to 79%, which is *somewhat* notable, for TSR has the best statistical record for long-range forecasting. A combined +AMO (or upward-trending AMO), -PDO (or downward-trending PDO), and neutral to cool ENSO, if sustained through peak season, would strongly suggest an above-average season, with ACE similar to or greater than in 2017. The NAO also needs to stay relatively suppressed to keep tropical-Atlantic SSTs warm throughout the spring. I would also keep in mind that the CFSv2 forecast has had a notable cool bias in the tropical Atlantic over the past few seasons. CSU has released their qualitative discussion at https://tropical.colostate.edu/media/sites/111/2017/12/2017-12.pdf. Like TSR, they seem bullish on 2018. They think the +AMO will likely continue, and only give a 25% chance of El Nino development. average Accumulated Cyclone Energy (ACE) activity of ~ 170) – 25% chance. 2. AMO is above average and no El Niño occurs (ACE ~ 130) – 35% chance. 3. AMO is above average and El Niño develops (ACE ~ 80) – 20% chance. 4. AMO is below average and no El Niño occurs (ACE ~ 80) – 15% chance. 5. AMO is below average and El Niño develops (ACE ~ 50) – 5% chance. The tricky aspect is that the AMO, while potentially still in the positive phase, has been highly unstable since 2012, thanks in part to record-low sea ice and correspondingly low levels of salinity in the far North Atlantic. Climate change (warming) can certainly influence the AMO and lead to a weakening of the thermohaline circulation (THC), owing to the melting of Greenland ice sheets, but it is far from the only factor and seasonal variability is high. AMO is known to be quite dynamic and susceptible to a variety of feedback processes and forces. Over the past few seasons, the AMO has been in an unusual limbo: with above-average SSTs in the tropical Atlantic and rather cool SSTs in the far North Atlantic. This is a bit of a halfway house between "classic" positive and negative phases of the AMO. The classic +AMO signature, warm water, is present in the tropical Atlantic, while the cool pattern in the far North Atlantic resembles the -AMO. In 2017 both indicators were present, but other conducive indices apparently overcame the near-neutral AMO, leading to a very active season. However, the AMO, while not the only factor, is, along with ENSO, among the most important as far as Atlantic activity is concerned. One thing to watch is that climate change, at least in part, may serve to increase variability from year to year. That is, in some years the AMO may fluctuate wildly, from near-neutral or slightly positive to strongly negative, as well as vice versa, owing to sensitivity to ice melt, the NAO, polar winds, and many other factors, most of which are only indirectly tied to the background climate, but can be influenced by and act on it. In short, the upcoming season will be very tricky to forecast, as we are entering a new climate and, as always, the atmosphere and ocean remain extremely complex. As always, with or without climate change, there are many other factors to consider, and seasonal variability will always remain a factor. Disclaimer: I am not a Pro Met, nor do I know everything. Last edited by Shell Mound on Wed Dec 13, 2017 12:50 pm, edited 1 time in total. CyclonicFury wrote: :uarrow: CSU has released their qualitative discussion at https://tropical.colostate.edu/media/sites/111/2017/12/2017-12.pdf. Like TSR, they seem bullish on 2018. They think the +AMO will likely continue, and only give a 25% chance of El Nino development. The second scenario (in bold) happened in 2017, yet the ACE of ~224 was far higher than 130. That clearly highlights the importance of other factors besides AMO and ENSO. Technically, the AMO was closest to neutral during peak season (August—October), being slightly above average at most, making the extreme activity of 2017 all the more remarkable. There should be a study to account for why some seasons are so explosive despite a seemingly weak or indecisive AMO signal. Plenty of other years with near-neutral (or slightly positive) AMO and cool neutral ENSO ended up near or below average in terms of activity, so the question is why 2017 finished as a top-ten ACE year with so many intense and destructive storms, as well as above-average storm totals. Disclaimer: Feel free to answer my inquiry, as I am not a Pro Met. There is much that I don't know! JB preliminary forecast is up. New year, same story from JB it appears. He seems to always predict above normal activity for the east coast (especially the Northeast). CyclonicFury wrote: New year, same story from JB it appears. He seems to always predict above normal activity for the east coast (especially the Northeast). If I remember correctly last season JB was forecasting near El Niño conditions making for a normal or slightly below normal season with higher than normal impacts. This season he's going with near or slightly above normal activity with lower impact chances. His analog years are 1934, 1951, 1996, 2006, and 2011. 2012 in my opinion would have been good to add to that list too as it was active in terms of named storms and hurricanes yet the majority of storms were weak featuring only two extremely short-lived majors. Impact-wise that year was probably categorized best as a low-moderate impact season. Still WAY TOO SOON though to determine where and what intensity the vast majority of the storms may be so really these pre-season guesses are just speculations. At this time last season no one knew that the NE Caribbean would be in the main cross-hairs last season. Heck, even in July several (including me) thought that the Tropical Atlantic would underperform again and look what ended up happening! As we near the 2018 National Tropical Weather Conference (April 3-7, 2018), Dr. Phil Klotzbach will present the first 2018 North Atlantic Hurricane Season Outlook that will be carried "Live" from S Padre Island, Texas beginning promptly at 9:00 AM CDT Thursday April 5th. Also if you still want to attend and be apart of the absolute Best Hurricane Conference there is, it's not to late to register. We are just a week and half away and there are still slots available for those that may want to join us! Yes, it's too soon until the storms actually develop. We had highlighted the NE Caribbean as a hot spot last spring, as the MDR looked favorable for the first time in years. May I ask what are your early thoughts and speculations on what this season could bring? What are your current thoughts on the MDR for this season? It looks as if AccuWeather expects storms to track farther east than in 2017. Note that most of the coast of Texas is excluded, while Georgia and the Carolinas are brought into the mix. The centre of the zone looks to be in the eastern Gulf of Mexico and over the Florida peninsula. The fact that Georgia and the Carolinas are included suggests more of a gradual, southeast-to-northwest angle of approach, instead of the sharp northward turns in 2017, implying a westward elongation of the subtropical ridge. In this pattern, there might be fewer upper lows to shear northward-turning systems before landfall, as we saw with Irma near the Keys, so if AccuWeather's forecast comes to pass, some of the storms that may strike the mainland U.S. in 2018 could be stronger than either Harvey or Irma. AccuWeather predicts several U.S. threats essentially every pre-season. Whether the U.S. sees these predicted strikes is their luck. Also regarding the shearing of systems approaching the SE U.S. like Irma approaching the Keys and South Florida for instance, that is typical usually in a La Niña as tweeted just recently by Michael Lowry. Now if it was a Neutral season last year we could have been talking about a decent Cat. 4/5 threat to the Keys and mainland South Florida from Irma in my opinion. Shear tends to be at strongest levels near and around the SE U.S. with approaching tropical cyclones in La Niña seasons. 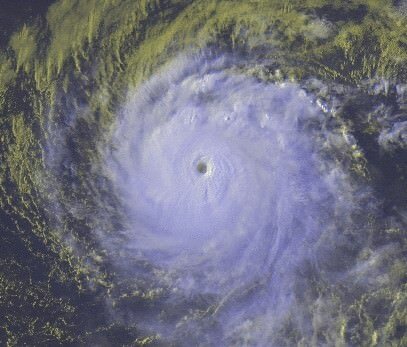 - Near Average Season with an ACE of 100 & the following numbers: 14 Storms, 7 Hurricanes & 3 Major Hurricanes. - May or Early June western Atlantic Tropical Development. - Warm Neutral ENSO or even a Weak El Nino developing later in the season. - Area From North Carolina To Southern New England has a significant risk this season of a tropical storm/hurricane threat/landfall based on the overall pattern & using analog data. - Also have concerns for the Eastern/Northeast Gulf of Mexico for tropical cyclone threats. - The Caribbean Sea may be inactive this year due to higher than average shear & a slowly developing El Nino.